Ebony, aka WondaGurl, has been honing her craft since she was 9. 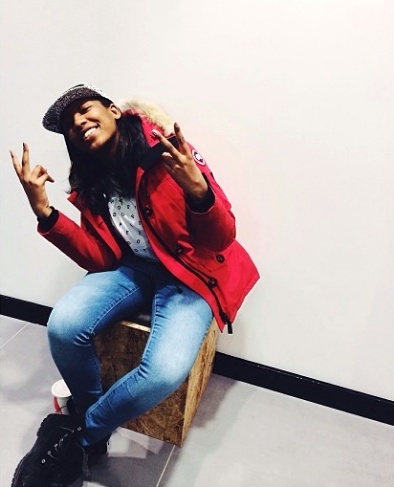 WondaGurl was first spotted at the 2011 Battle of the Beatmakers in Toronto, where she caught the eye of super-producer Boi-1Da, who mentored her at the Remix Project Studio in Toronto. A year later, WondaGurl took the 2012 Battle of the Beatmakers title and ended up making beats for French Montana, Travis Scott and Jay Z to name a few. Tell us about how you got into music ? My name is WondaGurl. I am a producer from Toronto Canada. When I was younger I used to have a Casio keyboard that had like drum pads on it, So I’d always record something on the keyboard and add some drums to it. Then as I got older that got boring so I went on the computer and searched “How to make beats” on youtube. & Started from there. I started using this thing called Magix Music Maker. Then that got boring. Went on to Mixcraft, Reason, Sonar, Cubase & those all got really boring as well haha. So I found this one sick program called “Fruity Loops” on the internet and I instantly fell in love. I was age 11 or 12 at the time. Thats when I started making beats seriously. FL means everything to my productions. It’s the only program I didn’t get bored of. I make beats in my bedroom for now. I have a little area set up for creating and I still have space in my room to move around. For speakers I use KRK Rokit 5’s. I want to upgrade soon. I have a regular cheap M-Audio keyboard that I love. I also have a Roland GAIA Synthesizer that I won in a beat battle. I don’t use it much but there are a lot of cool sounds in it.